The database: The genus Cryptocephalus (Chrysomelidae) of Palearctic region. The database includes a complete review and key (to the subspecies rank) of all Palearctic species (398) of one of the largest genera of the leaf-beetles (family Chrysomelidae). Complete taxonomic information includes date about all described subspecies and all synonyms. The key is illustrated by 918 figures and schemes. – treated a systematic, synonymy, faunistic of the group, researched and studied date about members of the genus, developed of basis dichotomous key, related the references, and created some drawing-figures of the edeagus. – related the date about the species, developed of the polyhotomous key, as well as created all photo images of the beetles, the key figures and images; translated a text in the key. Eugene O. Yurchenko – prepared some photo-images. Most of photos were created on the basis of a personal collections of I.K. Lopatin. The authors acknowledge Dr. A. Warchalowski for allowing access to some specimens from his collection and thank the scientists from the publications of which we got the photos and figures. also we use the figures from the publications following authors: H.Takizawa 4, E. Petitpierre – 2, N. Berti & M. Rapilly -5, J.C. Bourdonne -2, Yu.E. Mikhailov 1. The database is a scientific publication. When using its textual date with scientific purpose, the reference its binding: “I.K. Lopatin, K.E. Dovgailo. The genus Cryptocephalus (Chrysomelidae) of Palearctic region. Key and database on the basis of software “Lysandra”. Minsk, 2002″. 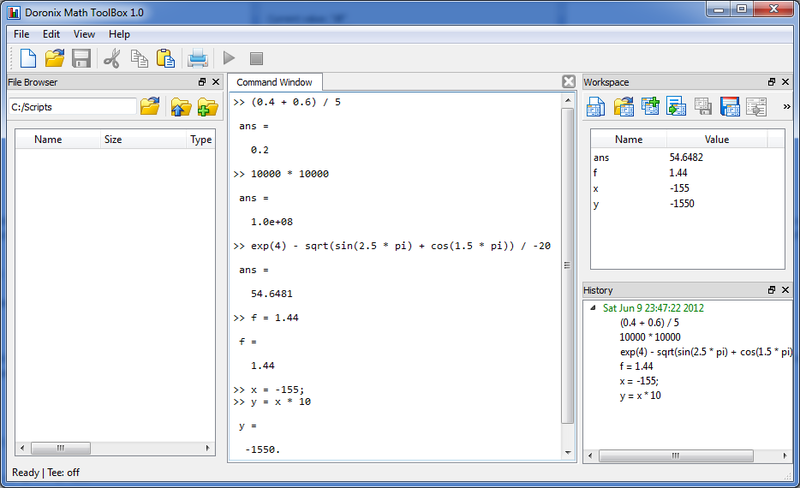 Lysandra software – a taxonomic identification software for creating databases for groups of living organisms. Kirill E. Dovgailo – idea, scenario, interface design, Help. (c) 2002-2011, K.E. Dovgailo, the software “Lysandra”, database, all digital date and digital images. 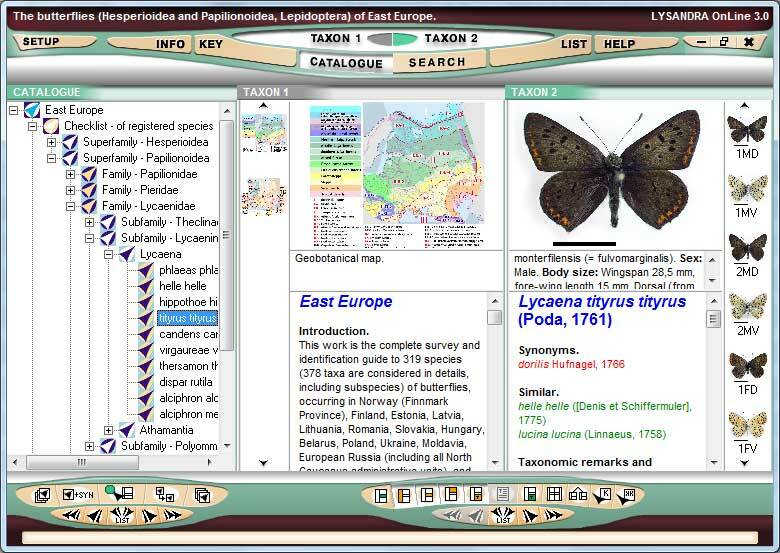 The database: The butterflies (Hesperioidea and Papilionoidea, Lepidoptera) of East Europe. Authors of the database: Igor G. Pljushtch, Dmytri V. Morgun, Kirill E. Dovgailo, Nicolai I. Rubin, Igor A. Solodovnikov. This work is the complete survey and identification guide to 319 species (378 taxa are considered in details, including subspecies) of butterflies, occurring in Norway (Finnmark Province), Finland, Estonia, Latvia, Lithuania, Romania, Slovakia, Hungary, Belarus, Poland, Ukraine, Moldavia, European Russia (including all North Caucasus administrative units), and Western Kazakhstan (Ural and Atyrau Regions). The work includes additionally the list of 13 species possibly published erroneously for this area in old literature sources, belonged to the end of 19th – beginning of the 20th century. Based on our research we consider the inhabitation of these species on the study area does not confirmed by the available museum and new factual materials. The work runned by the following way. Several taxonomic lists of day butterflies, widely accepted in Russian lepidopterological school, were taken. All authors suggested their opinion and modifications, which were discussed and included in our list at the meeting of co-authors. Thus the original list of Eastern European taxa was compiled. The articles about common species were created jointly. The original data on biology and distribution of butterflies in Ukraine, Romania, Moldavia, Russian North Caucasus, and Finnmark province of Norway were composed mainly by Igor Georgievich Pljushtch. The detailed collection of faunistic data, summaries on biology of butterflies from European and North Caucasian Russia, North-West Kazakhstan were done by Dmytri Vladimirovich Morgun. The data from Belarus, Finland, and some regions of SE European Russia, NW Kazakhstan were prepared by Kirill Yevgen’evich Dovgailo. The work on data collection on fauna and biology of butterflies from Belarus, Baltic countries, Republic of Crimea (Ukraine), Slovakia, NW Kazakhstan – Igor Al’bertovich Solodovnikov. The data on species living in Poland, Belarus, and in big degree Crimea were prepared by Nikolai Isaakovich Rubin. Species mapping was carried out by each author in frames of regions as described above, and based on original and other data. (c) 2006-2011, K.E. Dovgailo, the software “Lysandra”, database, all digital date and digital images. 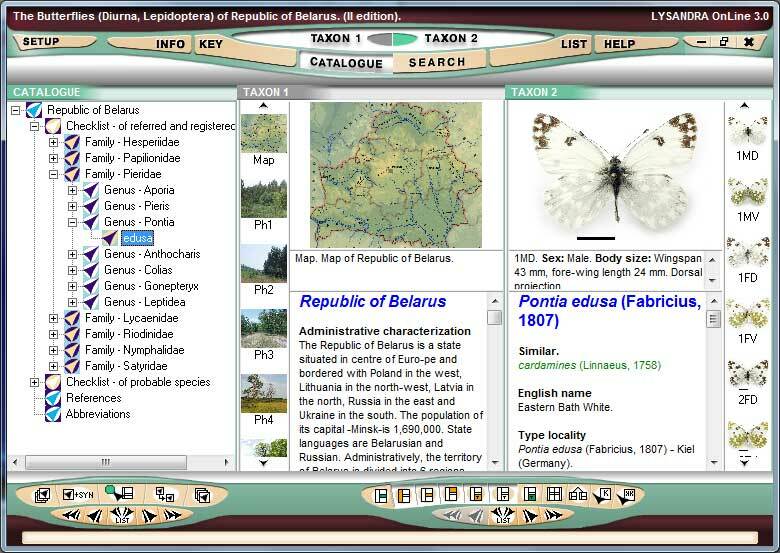 The database: The Butterflies (Diurna, Lepidoptera) of Republic of Belarus. Authors of the database: Kirill E. Dovgailo, Igor A. Solodovnikov, Nikolai I. Rubin. The work includes of the complete review and the guide of 156 species of butterflies (Diurna), which occur in Republic of Belarus and adjacent countries, as well as the species discovery of which is probable in future on the territory of Belarus. For the Belarus territory 140 species of butterflies were noted until now. In the work all taxonomic information about group (including subspecies and all known synonyms) is present. The database contains 1345 original photo images and 65 distribution maps. Also the guide contains of 689 graphical scheme and pictures. The collector, founder Oriks-Diont Ltd.
Е.V. Chechuy and Т.V. Dovgailo – help in preparation and photo-images of objects. The authors express gratitude to the Director of Zoological Museum of Belarusian State University A. D. Pisanenko and to the Director of Zoological Museum of Vitebsk State University V. I. Piskunov for the possibility to study the requisite materials and images some butterflies from Museum stocks. The database is a scientific publication. When using its textual date with scientific purpose, the reference its binding: “Kirill E. Dovgailo, Igor A. Solodovnikov, Nikolai I. Rubin. The Butterflies (Diurna, Lepidoptera) of Republic of Belarus. Key and database on the basis of software “Lysandra”. Minsk, 2003″. (c) 2003-2011, K.E. Dovgailo, the software “Lysandra”, database, all digital date and digital images.